If there’s one thing Emilio Estefan knows how to make, other than money, it’s propaganda. In the Nineties, he and Gloria appeared in a photograph on Page One of The Herald holding a check for a donation for some cause or another. The check was the size of a classroom blackboard. I did a caricature about them that showed them riding in their Rolls-Royce. At a corner, there’s a beggar with a sign that says "I work for food." They lower the window and tell the man: "And we donate for publicity." Both complained about it to David Lawrence, who was then the Herald’s publisher. Lawrence phoned me and asked if I had anything personal against the Estefans because I had poked fun at their donation. I said, no, I didn’t have anything against them but I had a beef against the newspaper for putting them on the front page with that ridiculously large check. The more anonymous the philanthropy, the more glorious it is, I said. Lawrence laughed, agreed and hung up. 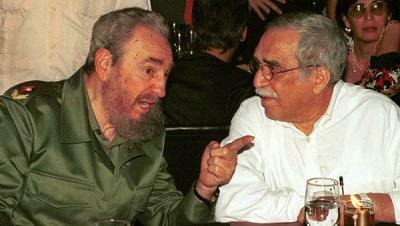 Now I ask myself, might Luis Posada Carriles have something against the Estefans? Because he crashed the march they organized on Calle Ocho, dressed as a male Lady in White. It’s as if a child molester, dressed like Santa Claus, sat in the middle of a shopping center to have his picture taken with children on his lap. Whether 100,000 marchers showed up (they didn’t, of course, but that’s not the issue because in Miami everything is inflated, from a political rÃ©sumÃ© to a bank account to the value of a house to the number of guests at a party) and whether the Estefans truly wanted to do something for someone in Cuba or for themselves in Miami by stifling the Calle 13 concert at the American Airlines Arena remains to be seen. If the Estefans Â masters of public relations Â had really wanted to send a strong message about something in Cuba, they should have scheduled their march for a Sunday, when twice the number of people would have shown up, not Thursday, the day of the concert at the Arena, where they have their Restaurant Bongos and make money. That’s logic and common sense. That reasoning leads me to the conclusion (and I could be wrong) that these wealthy minstrels killed two birds with one stone. They quashed the concert at the Arena, which received minimal coverage in the media, and scored a patriotic hit with their march. From the defensive they switched to the offensive. In other words, rather than explain whether they would profit from the show by a couple of musicians who had just headlined a multitudinous concert in Havana’s MalecÃ³n, the Estefans dressed as local heroes. A masterful move. But (not everything is perfect in this life) one single image spoiled their work. Regardless of whether the Archdiocese of Miami, the Opa-Locka Boy Scouts, or the Hialeah Santeros showed up at the march, the one who shouldn’t have been there was Posada Carriles. Yes, I know this is a free country and that everybody has the right to dress in white and go out on the street. But that day, out of decency if nothing else, the old terrorist should have stayed home in his pajamas Â all the more so because he still has a trial pending in an American courtroom. They say a picture is worth a thousand words. Posada Carriles, dressed in white on Calle Ocho, caused more damage to the Ladies in White than Laura PollÃ¡n, the Ladies’ leader, when she confessed before a video camera (in a monstrous gaffe) that she had received money from Santiago Ãlvarez FernÃ¡ndez-MagriÃ±Ã¡, a man in whose house federal agents found rifles, grenades and bazookas Â not exactly gladioli. "The Gladioli and the Bombs"
Born in Cuba in 1955, JosÃ© Varela has been an editorial cartoonist in Miami for 15 years. His artwork has appeared in the magazine Ãxito (1991-1997) and El Nuevo Herald (1993-2006). A publicist and television writer, he is a member of the Progreso Weekly team.